Thanksgiving Feast at B&B Butchers. Photo courtesy of B&B Butchers. This Turkey Day, ditch the thankless labor and pile of dishes that appears right when all you want to do is get off your feet, eat some pie and take a nap. Houston-area restaurants are ready to do the cooking, which lets you enjoy a meal out on the town instead of a day of labor. Our annual list of Thanksgiving dine-in options features an abundance of traditional, international, and rustic fare to suit any holiday mood. We’ll update this article with additional options as we get more information from the restaurants. Prefer to dine at home? Watch for our forthcoming list of Houston restaurant Thanksgiving take-out options. 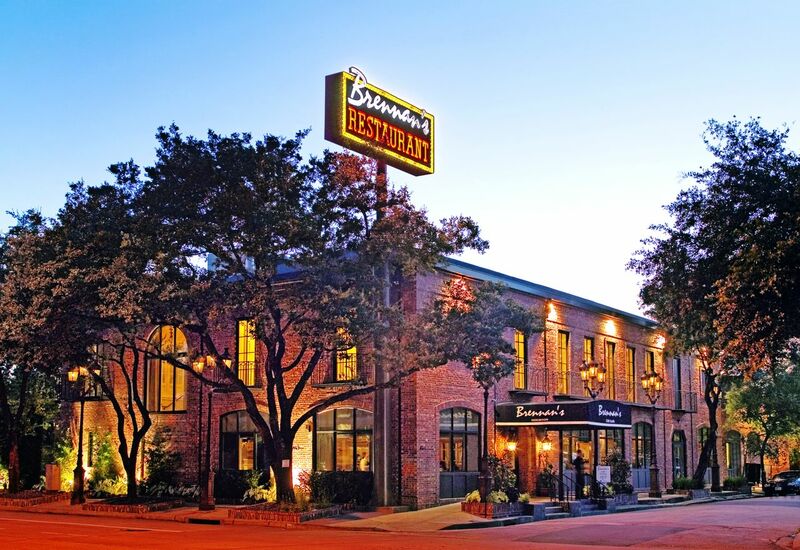 Brennan’s, 3300 Smith: For $62 per person, from 11 a.m. to 7 p.m., Brennan’s is offering a Creole-inspired Thanksgiving meal fit for southern royalty. Guests will have a choice of starter, entrée, and dessert. The select menu will feature NOLA BBQ Shrimp Shortcake made with creamed corn buttered biscuit, Texas Creole Roasted Turkey with mushroom & andouille dressing, and Southern Apple Cake with brandy milk punch ice cream. Reservations are encouraged and can be made by calling (713) 522-9711. Online reservations are not available. Brasserie Du Parc, 1440 Lamar: For a classic French holiday meal, visit Brasserie Du Parc this Thanksgiving from noon to 7:30 p.m. The special Thanksgiving menu features three courses of rustic French classics including butternut squash soup and a mouthwatering Pavé de Saumon Roti — seared Atlantic salmon and ratatouille vegetables with lemon zest emulsion. For dessert, try the Caramelized Apple Crêpe with vanilla mascarpone and vanilla ice cream, or the Tart aux Noix de Pécan, or pecan vanilla pie with ice cream and caramel sauce. Dine-in cost will be $40 per person and $20 for children. Reservations can be made by calling (832) 879-2802. Quattro at Four Seasons, 1300 Lamar: Celebrate in style and luxury this year with Quattro’s annual Thanksgiving brunch. From 10 a.m. to 3 p.m., diners are invited to feast on a choice of over 80 dishes and sip complimentary Bloody Marys and Mimosas. The day’s fare includes sides from Bayou and Bottle, items from Quattro’s regular menu, a sushi bar, a caviar station and over a dozen desserts. Cost is $110 per adult and $49 for children ages 6 to 12. Public Services Wine & Whiskey, 202 Travis Street #100: Join the good people at Public Services after your Thanksgiving meal to put a nightcap on the evening. Owner and wine buyer, Justin Vann, is offering wine and cocktail specials starting at 8 p.m., while Justin Yu of Theodore Rex cooks up some special Thanksgiving treats. Stay tuned to the Public Services Facebook page for updates on the menu and drink specials. La Villa Saint-Tropez. 4315 Montrose: In the mood for contemporary French food with a touch of Mediterranean influence? Executive chef Bruno Gallou of La Villa Saint-Tropez will be serving a pre-fixe four-course meal on Thanksgiving day from 11 am to 7 pm. For $79 for adults and $39 for children, diners can enjoy an inspired meal of warm French dishes and temping holiday sweets, as well as a complimentary welcome cocktail. 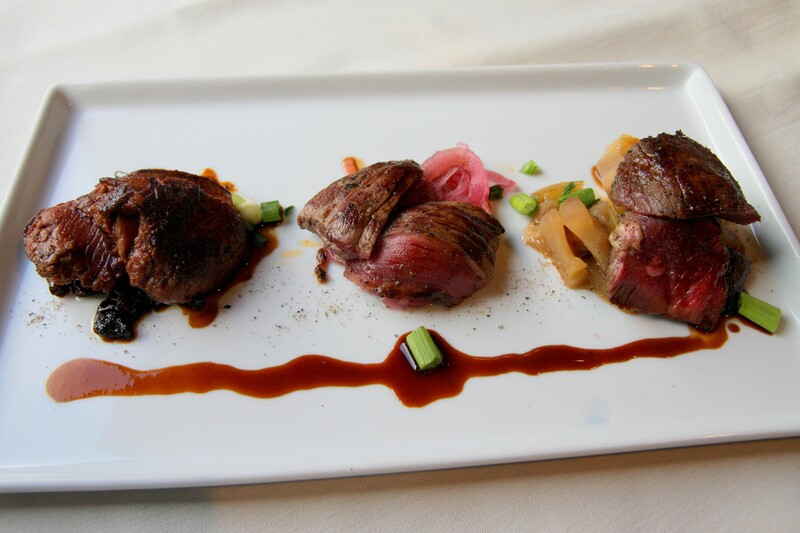 Wild Game Trio from Rainbow Lodge. Photo Courtesy of Rainbow Lodge. Update, 11/12/2018, 2:28 p.m.: Rainbow Lodge owner Donnette Hansen reports that no more Thanksgiving dine-in reservations are available. However, the extensive to-go menu can be viewed online. Rainbow Lodge, 2011 Ella: If you’re looking for exotic wild game and rustic comfort fare, head to Rainbow Lodge in The Heights for your Thanksgiving celebration. The historic 113-year-old building housing Houston’s original lodge restaurant is serving a three-course meal. Menu highlights include Smoked Duck Gumbo, a wild game duo of Texas quail and venison medallions, and Taste of the Wild — a wild game trio of elk, rabbit and buffalo. The holiday menu costs $60 per adult from 11:15 a.m. to 7:30 p.m. A kids menu available for $45. Reservations are required. B&B Butchers & Restaurant, 1814 Washington Avenue: This steakhouse is open from 11 a.m. to 8 p.m. and offering both a pre-fixe menu for $59 per person ($25 for kids under 12) and the regular dinner menu. The prix fixe is a three-course meal with a choice of roasted prime rib or turkey for the entrée. The sides include sweet yams and brussels sprouts. For dessert, choose among pumpkin pie, pecan pie, or a housemade apple crisp. Every guest also receives a special take-home gift: leftover turkey sandwiches from the butcher shop complete with sides and gravy. Reservations are required and can be made by calling (713) 862-1814. La Table, 1800 Post Oak: Looking for a French holiday in Uptown? Celebrate at La Table from 11 a.m. to 8 p.m. with two holiday dine-in options. The upscale dining room upstairs, Château, is offering a pre-fixe menu featuring oven-roasted turkey, butternut squash soup, and pumpkin or bourbon pecan pie. The more casual Marché is hosting an a la carte meal in the downstairs dining room. The prix fixe menu cost is $95 per person and $45 for children ages 5 to 12. Ristorante Cavour at Hotel Granduca, 1080 Uptown Park: For a luxurious brunch experience, visit Ristorante Cavour in lobby of the opulent Hotel Granduca for its annual Thanksgiving buffet. The cost is $85 for adults and $40 for children ages 5 to 12 and the buffet includes turkey and trimmings, prime beef, seafood, cheeses, pastas and dessert. Brunch is served from 11 a.m. to 3 p.m. Ristorante Cavour is also offering breakfast service from 6:30 to 10:30 a.m. and Bar Malatesta is serving dinner that evening. Bosscat Kitchen & Libations, 4310 Westheimer: Celebrate with the Bosscat family this year for a Thanksgiving feast from noon to 7 p.m. Co-owner John Reed, executive chef Peter Petro, bar director Matt Sharp and Managing Partner Tai Nguyen will be on hand with their own families to serve and celebrate with guests. Bosscat’s special Thanksgiving menu costs $45 per person for two proteins or $55 for three and $15 for kids. It features Maple-Bourbon Brined Turkey and apple cobbler with vanilla bean ice cream. Reservations are encouraged but walk-ins are welcome. Steak 48, 4444 Westheimer: This River Oaks steakhouse is opening on Thanksgiving afternoon to serve its full menu. Chef Jeff Taylor is also serving his traditional holiday turkey and freshly made in-house pumpkin pie. Reservations can be made by calling (713) 322-7448. Holiday hours will be from 1 p.m. to 9 p.m.
Étoile Cuisine et Bar, 1101-11 Uptown Park Boulevard: Uptown Park’s chic French eatery is open from noon to 7:30 p.m. and serving a special three-course holiday menu. The menu, which will cost $56 for adults and $25 for children, features French standards such as Velouté de Champignons — mushroom and leek velouté with shredded duck confit — as well as Plat de Cote Braisé, or braised beef short ribs with butternut squash mousseline and fall vegetables. For more traditional thanksgiving fare try the roasted turkey with pommes mousseline (a decadent French take on mashed potatoes). Make reservations by calling (832) 668-5808. Ara Restaurant & Axis Lounge at Royal Sonesta; 2222 W Loop South: Uptown’s luxurious Hotel Sonesta will offer two dining options for guests and diners on Thanksgiving day. The hotel’s premiere restaurant, Ara, will offer a Thanksgiving special with traditional turkey, mashed potatoes, stuffing, green bean casserole, turkey gravy and cranberry sauce for $29. For $10 more guests may upgrade to a three-course meal by adding one appetizer and one dessert from ARA’s a la carte menu. The all-day special will be available from 11:30 am to 1:30 pm, and again from 5:30 pm to close. Carmelo’s Cucina Italiana, 14795 Memorial Drive: Chef Daniel Berg of Carmelo’s is preparing a three-course pre-fixe for Thanksgiving day. The Memorial ristorante is open from 11 a.m. to 8 p.m. and menu highlights include pumpkin ravioli, bourbon-glazed ham, whipped potatoes, and cranberry compote. The meal costs $45 for adults and $20 for kids (ages 11 and under). Guests also have the option to order from the regular dinner and kids menus. As a special take-home gift, guests also receive homemade pumpkin cannoli. Reservations are required, so please call (281) 531-0696 to book your table. 024 Grille at Westin Memorial City, 945 Gessner Road: For a relaxing brunch outside the Loop, head to Westin Memorial City to enjoy a holiday buffet featuring carving and seafood stations, a full breakfast spread, desserts and more. 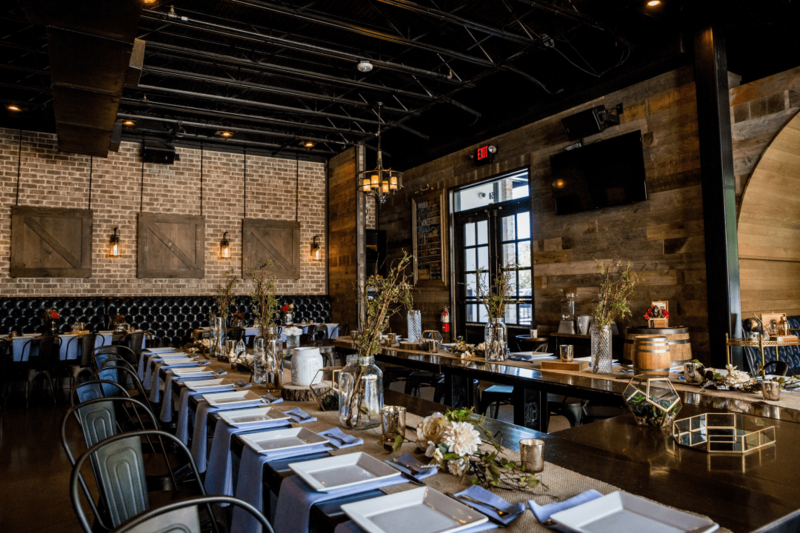 Brunch for adults costs $60 and includes a complimentary mimosa. Kids under 10 are $25 and the hours are from 10 a.m. to 1 p.m. Reservations can be made online at Open Table. Bistro Le Cep, 11112 Westheimer: Celebrate the French way in a long-running bistro in the Memorial area. The folks at Bistro Le Cep are serving up a Colonial feast to honor the historic American holiday. 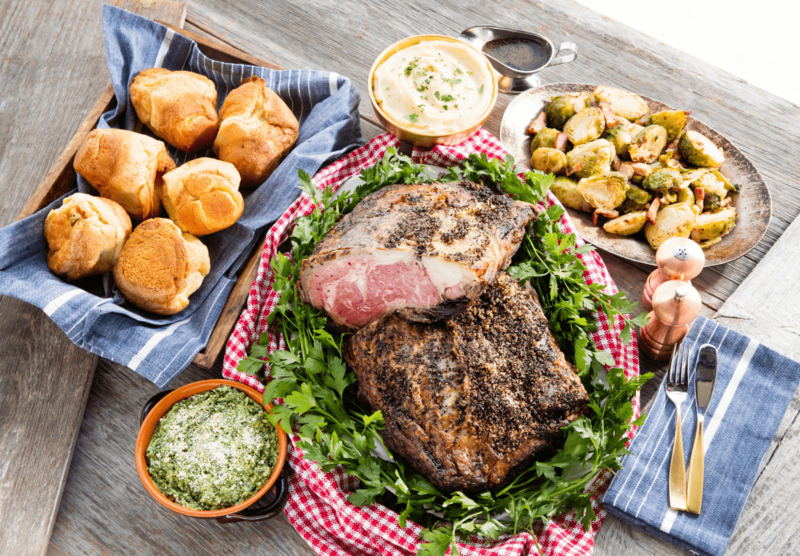 This menu features a Bisque of Apple and Butternut Squash, a choice of roasted turkey or roast prime rib au jus, Harvest Squash with Maple Syrup and several dessert options. Dinner costs $39.95 and the prime rib option is $45.95. The children’s meal is $19.50. International Smoke, 800 Sorella Court #940: Chef Michael Mina and Ayesha Curry’s CityCentre restaurant, International Smoke, will be offering a three-course Thanksgiving menu for holiday diners looking to celebrate the day with a little spice and a lot of smoke. The meal will open with a Thai squash soup and red curry cornbread. The entrée will be a classic smoked turkey with Ayesha’s own Jerk Spiced Turkey Gravy, whipped potatoes, roasted pear & cranberry brussels sprouts and traditional stuffing with a twist. For dessert, guests will enjoy traditional pumpkin pie with caramel sauce. The holiday menu will cost $29 and will be available from 11 am to 6 pm. 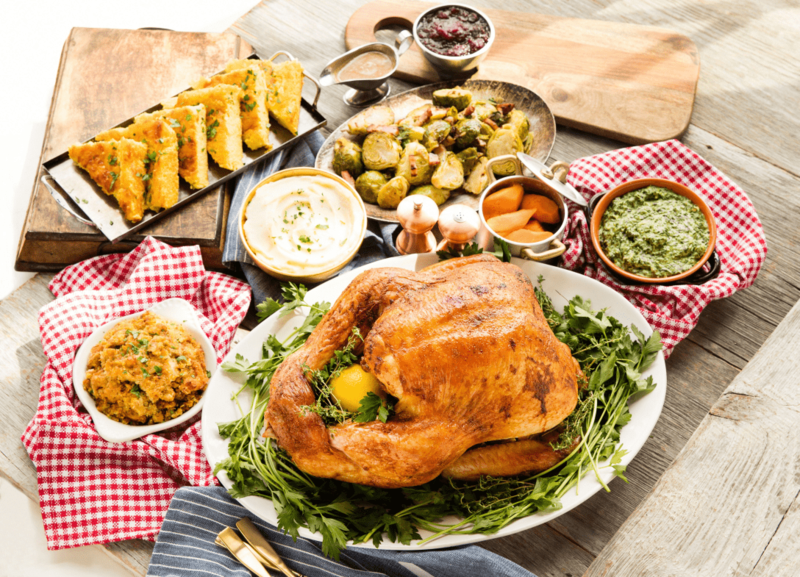 Radio Milano at Hotel Sorella CityCentre, 800 Sorella Court: If you find yourself near CityCentre on turkey day with no where to go, pop into Hotel Sorella from 11 am to 3 pm for a traditional holiday meal at Radio Milano. The modern Italian bar and kitchen will be serving a classic Thanksgiving meal with the traditional fixings: turkey, ham, green bean casserole, from-scratch cranberry jelly, stuffing and more. Adult plates are priced at $35, and $20 for the kids.